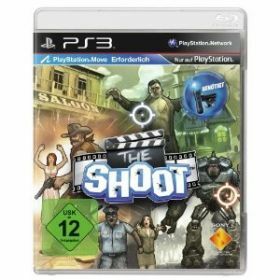 The Shoot is a first-person oriented shooter game for PlayStation 3 that uses the PlayStation Move controller and the PlayStation Eye peripheral to create a unique motion-controlled arcade gaming experience. 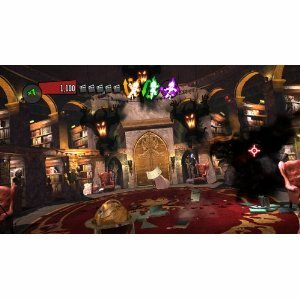 Set amidst a movie-themed game setting, players use a single PlayStation Move controller to target appropriately movie-themed enemies and to interact with the gameworld, while the PlayStation Eye camera monitors their location for enemies bent on returning fire of their own. 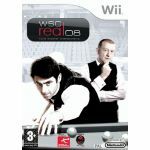 Additional features include two-player support, 480p and 720p HD video support and more. The Shoot is an over-the-top, first-person oriented arcade shooter that allows players to inflict mass destruction on the various sets of an action movie that they are also participating in. 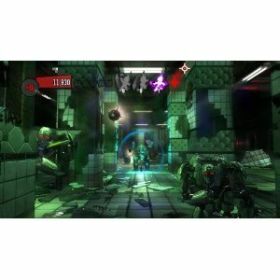 Gameplay features players shooting it out against themed enemies across these various movie scenes, using a single PlayStation Move controller which acts as your weapon and the PlayStation Eye camera peripheral serving as a means to track your position in relation to the sets you face. 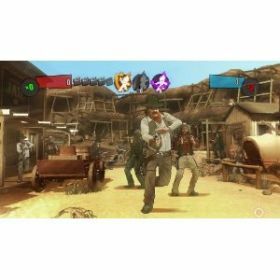 Actions possible with the Move controller include shooting, punching, dodging and special moves to take out enemies, but players need to remember that the movie scenes before them may also contain innocent characters. Avoid these bystanders, or you'll lose movie "takes," which serve as lives in-game. In marking your position, the PlayStation Eye also relates to enemies where you are, so players can expect return fire as well. The game's highly destructible environments also allow for maximum damage during drawn out firefights, eventually leaving nowhere to hide. 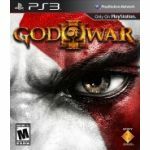 - First-person orientated arcade shooter featuring motion controller based gunplay utilizing the combination of the PlayStation Motion controller and the PlayStation Eye camera peripheral. 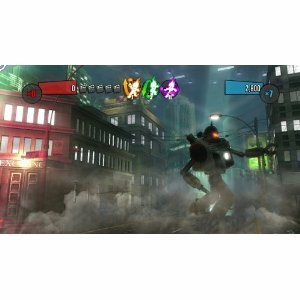 - Powerful special attacks such as Rampage, Showtime, and Shockwave, that allow players to wreck havoc on action movie sets that fill the game. 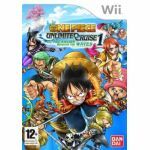 - Highly destructible environments that can be shot away to expose enemies, secret power-ups, bonus items and deleted scenes. - 5 themed movie sets including Haunted House Party, Outlaws, Robot Rebellion, Deep Perils, and The Mob. 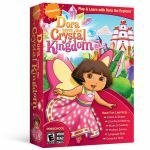 - Multiplayer game support for up to two players.